This is a question that as we grow into adulthood we know we can’t answer: my six year old though has just discovered the question and keeps trying to engage us in a conversation as to why he thinks one came before the other. 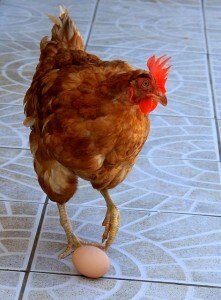 I was asked recently by a client about what came first – the story or the moral… surely she argued, the story comes first. We have our story and we seek to use this in a presentation, drawing out the point/moral or message as we do. And of course she is right…to a point. We all have stories to tell – our personal journey maybe, or our client’s experiences or our tales of helping and serving customers. A good presenter will use these stories in their presentations. Stories are great ways of demonstrating what we do, and importantly, how we do it. They tell our customers and potential clients our values and qualities without us seemingly blowing our own trumpet. They add colour and vibrancy to our information and make it more memorable. They get under the radar, and put across messages that the conscious mind might reject or block. So yes, look for your stories and use liberally! But…the moral can come first. When you plan your presentation and you start off with thinking about the message-you want to out across – identify the key ‘morals’ or mini messages that will support your core message. Be clear what you want people to take away. And then create stories around them. This does two things: it opens you up to exploring more stories from a wider context. Stories from films, books, fables and songs. Stories from others, fictional and non-fictional. Stories from related and non-related areas of experience. And it also allows you to draw from deep inside yourself for stories you might not even have been aware were there inside of you. For me, this second ‘mining of the well’ approach is scary, illuminating and empowering. To realise that within ourselves we hold a treasure trove of stories that we can pull out and use is both terrifying and exciting. So, what comes first? Well both of course. Become a collector of stories from around you and become a miner of stories from within you…either way your presentations will be the richer for it. Stand up. Speak up. Stand out. 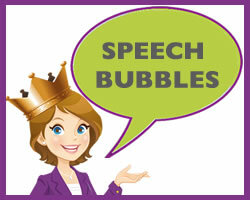 PS have you signed up yet for Speech Bubbles, weekly inspiration for your presentations. So, who are you again? From networker introduction to webpage, three ways to be consistent.